A graduate level text on a subject which brings together several areas of mathematics and physics: partial differential equations, differential geometry and general relativity. 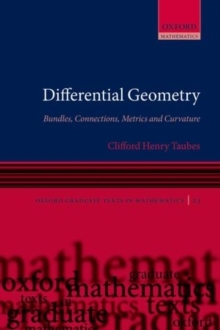 It explains the basics of the theory of partial differential equations in a form accessible to physicists and the basics of general relativity in a form accessible to mathematicians. In recent years the theory of partial differential equations has come to play an ever more important role inresearch on general relativity. This is partly due to the growth of the field of numerical relativity, stimulated in turn by work on gravitational wave detection, but also due to an increased interest in general relativity among pure mathematicians working in the areas of partial differential equationsand Riemannian geometry, who have realized the exceptional richness of the interactions between geometry and analysis which arise. 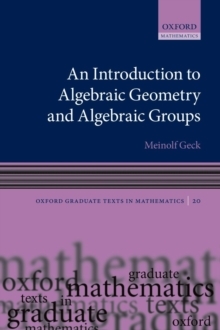 This book provides the background for those wishing to learn about these topics. 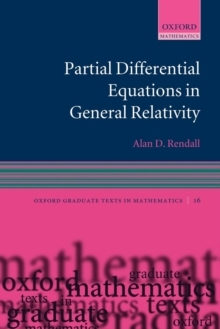 It treats key themes in general relativity including matter models and symmetry classes and gives an introduction to relevant aspects of the most important classes of partial differential equations, including ordinary differential equations, and material on functional analysis. 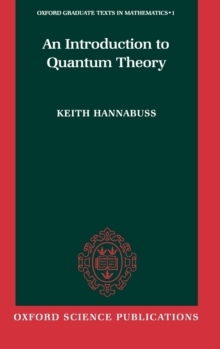 Theseelements are brought together to discuss a variety of important examples in the field of mathematical relativity, including asymptotically flat spacetimes, which are used to describe isolated systems, and spatially compact spacetimes, which are of importance in cosmology.